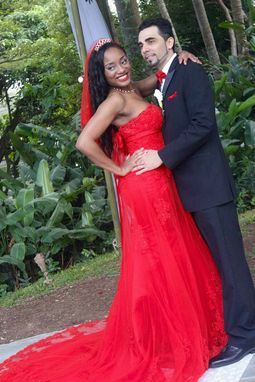 Red Wedding Dress from WeddingDressFantasy. 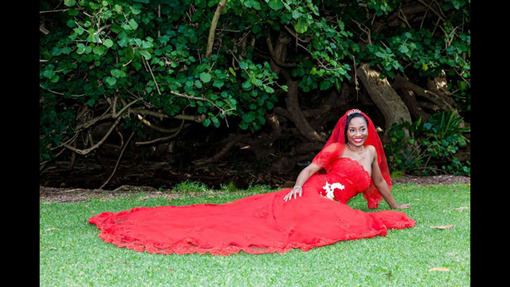 This incredible Red Hot Wedding Dress is so absolutely stunning. Created with a French Alencon Lace. Style is Trumpet/Fit & Flair with a strapless neckline. 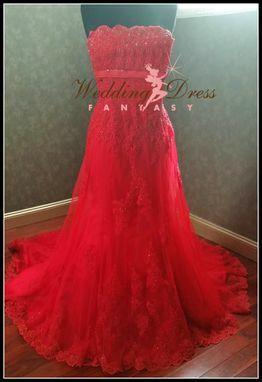 The Lace is so elegant yet striking! Simply Stunning. 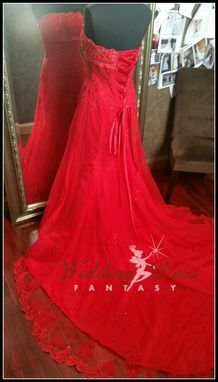 Corset back (as shown) is an additional $75. 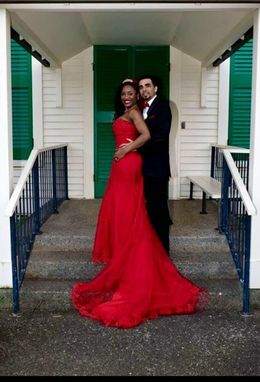 This gown can be customized for an additional fee. Please convo me first if you want to make any changes.